The Giller Prize is Canada's premier fiction award, won this year by journalist Linden MacIntyre for his second novel. Whilst the real judging panel were coming to their decision a shadow jury including bloggers Kevin From Canada and Trevor from The Mookse And The Gripes also read the shortlist and announced their own winner in advance of the Giller panel. This year both concurred, bestowing praise on MacIntyre's fictional examination of the scandals within the Catholic Church. With such an explosive subject MacIntyre maintains focus by keeping things local for the most part, looking at the small community of Creignish on Cape Breton Island, and creating a main character in a position of judgement with more than enough personal demons to contend with. Father Duncan MacAskill, known as 'The Exorcist' by his fellow priests, has for many years acted as a kind of clean-up man for the church. At the merest hint of scandal involving sexual abuse or alcoholism, he would be dispatched to mete out discipline and, more importantly, cover all tracks and bury the scandal. For those wayward priests who strayed towards infamy a visit from MacAskill meant a full stop and a plane ticket to another parish or out of the priesthood. It isn't a position he relishes, rather one he finds himself uniquely equipped to deal with. That said, to be placed in that position has taken its toll on his own faith and belief. I find it suddenly funny. God plays tricks. God is a joker who equips His cripples with gifts they use to pervert His holy will. And they flourish. People like me, designated to correct the perversions, undo the damage, languish like the sleepwalking fly. We ordinary mortals share the destiny of insects. So MacAskill is a man isolated both by and within his vocation and during the novel the strain of that isolation creates cracks and fissures through which his own past begins to show. One of the major themes of the novel is the sublimation of desire, or rather the consequences of doing that. The vow of chastity is shown to be unnatural and possibly dangerous, each of the implicated priests has their defence prepared, whether that be denial, counter-claim or justification. Another theme is that of contrition, and in particular the act of contrition. The voice of MacAskill's friend and colleague from Honduras, Alfonso, returns to him. The true act of contrition has to be a deed, an action that somehow leads to change. What that act should be differs for the many characters in need of penance, and it seems that every character in this book has something weighing them down, but there is no shortage of incident, especially with a storm brewing about the very events over which MacAskill has helped to draw a veil. But as much as the book is chock-full of plot, it's real strength is the central character. 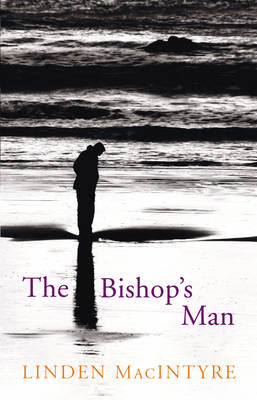 Using the scandals of the Catholic Church as a background rather than the main event allows MacIntyre to focus his attention on one man and his battles with faith, loneliness, dependence and love. Excellent review, which I think captures the key issue with this book -- it is about a character, not about Church abuse. I am delighted to report that that character grows deeper and richer in memory months after reading the book. I'm convinced more than ever that the Shadow Jury (and Real Jury) made the right choice. I'm not sure how it happens that I miss hearing about large awards and the recipients thereof. This sounds like such a hauntingly beautiful novel. I can't help but be intrigued as to the feelings this man must have about his vocation. Definitely one to add to the reading list - wonderful review. I agree with Kevin -- the book has gotten better in time, and I liked it quite a lot when I finished it. Kevin and Trevor - It is definitely Father MacAskill who has stayed with me after finishing the book. A man filled with faults, hopes and humanity. Thank you for your comment 'likeglass', I see you've just started blogging - keep it up! And do pop back when you've read this one and let me know your thoughts.